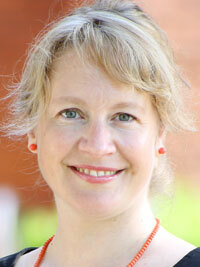 Mayhill Fowler teaches and researches the cultural history of Russia, Ukraine and Eastern Europe. She focuses in particular on how different kinds of state systems shape creativity, and how diversity leads to innovation. She is a former actress, trained in history at Princeton, and has taught at the University of Toronto, the Ukrainian Catholic University and at various summer schools across Ukraine. Mayhill Fowler, Ph.D., teaches and researches the cultural history of Russia and Eastern Europe with a focus on Ukraine. She is interested in how diversity leads to innovation, how art builds bridges and walls between competing groups, and how various political, social and economic structures shape how audiences, officials and artists understand the world around them. Her first book -- Beau Monde on Empire's Edge: State and Stage in Soviet Ukraine --tells the story of how a very rich cultural center became a cultural periphery through a collective biography of young artists and officials in the 1920s and 1930s. Her second project, Theater on the Frontlines of Socialism: the Military-Entertainment Complex in Ukraine, 1940s-2010s, investigates how we entertain soldiers and what war stories we tell. Fowler's lens is a particular military district in postwar Soviet Ukraine, but she hopes to look comparatively to the U.S. She also thinks about the Soviet actress and Yiddish theater. She teaches a variety of courses on Russian and Eastern European history, as well as a JSEM that takes students (virtually) to the Eastern European borderland city of Lemberg-Lwow-Lviv, and upper-level courses on cultural history and the performing arts. Fowler directs SPREES, Stetson's Program in Russian, East European and Eurasian Studies, and teaches the gateway course for the major. She herself researches in Ukrainian, Russian, Polish and Yiddish and pushes all her students to learn a foreign language and travel well beyond their intellectual comfort zones. Beau Monde on Empire's Edge: State and Stage in Soviet Ukraine (Toronto: University of Toronto Press, 2017). "Jews, Ukrainians, Soviets? : Backstage in the Yiddish Theaters of Soviet Ukraine," Jewish Culture and History, vol. 18, no. 2 (Spring 2017): 152-169. "Mikhail Bulgakov, Mykola Kulish, and Soviet Theater: How Internal Transnationalism Remade Center and Periphery," Kritika: Explorations in Russian and Eurasian History, vol. 16, no. 2 (Spring 2015): 263-290. "A Cesspool of Intrigues: Les Kurbas, Aleksandr Dovzhenko, and the Early Soviet Ukrainian Motion Picture Industry," in Canadian Slavonic Papers, vol. 56, nos. 1-2 (March-June 2014): 83-101. "Yiddish Theater in Soviet Ukraine: A Re-Evaluation of Jewish-Slavic Relations in the Arts," Ab Imperio 2011/3 (December 2011): 167-188. "Guns, Money, and the Muse: New Patronage in the Russian Civil War," in Victor Emeljanow, ed., War and Theatrical Innovation, Palgrave Studies in Theater and Performance (London: Palgrave Macmillan, 2017), 121-138. "'A Theatrical Mecca': The Stages of Kyiv in 1907," Modernism in Kyiv: Jubilant Experimentation, edited by Virlana Tkacz and Irena Makaryk (Toronto: University of Toronto Press, 2010), 26-51. "Beyond Ukraine or Little Russia: Going Global with Culture in Ukraine," The Future of the Past: New Perspectives on Ukrainian History, ed. Serhii Plokhy (Cambridge: Harvard Ukrainian Research Institute), 2016), 249-274; reprinted in Harvard Ukrainian Studies, vol. 34, no. 1-4 (2015-2016): 259-286. "Na ulicy Prorizny: Ponadnarodowa historia modernizmu na Ukrainie [On Prorizna Street: A Transnational History of Modernism in Ukraine]," trans. Mikolaj Golubiewski, PrzegÅ‚Ä...d Filozoficzno-literackie: kwartalnik (special issue on Modernism), vol. 36, no. 2 (summer 2013): 101-113. "Berezil: Theater as Institution in Soviet Ukraine," in Myroslava Mudrak and Tetiana Rudenko, eds., Staging the Ukrainian Theatrical Avant-Garde of the 1920s and 1920s (NYC: Ukrainian Museum, 2015): 140-155; catalogue won the Alfred H. Barr award at the College Art Association Conference 2016.